For many homeowners, garages aren’t just places to store their vehicles—they’re recreation rooms, DIY project stations, man caves, game rooms, home gyms, and even home offices. With all the varied purposes for garages, it’s no surprise that many homeowners view them more like additional rooms in their homes rather than simply storage areas for vehicles, tools, and things that just don’t have a place anywhere else. No matter what purpose your garage serves, if you spend a lot of time in it, chances are you’ve dealt with bright sunlight that can be distracting at certain times of the day, as well as a lack of privacy and insulation. Purchasing window treatments for your garage is the perfect way to put the finishing touches on a room that you’re transforming from purely “utility” to “living space,” or to just make your garage a more comfortable place for your family to be regardless of the season or time of day. 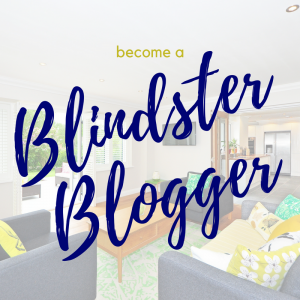 For suggestions on finding the perfect blinds and shades that will complement any garage, check out Blindster’s tips below. Not everyone wants anything beyond a basic window covering for their garage. 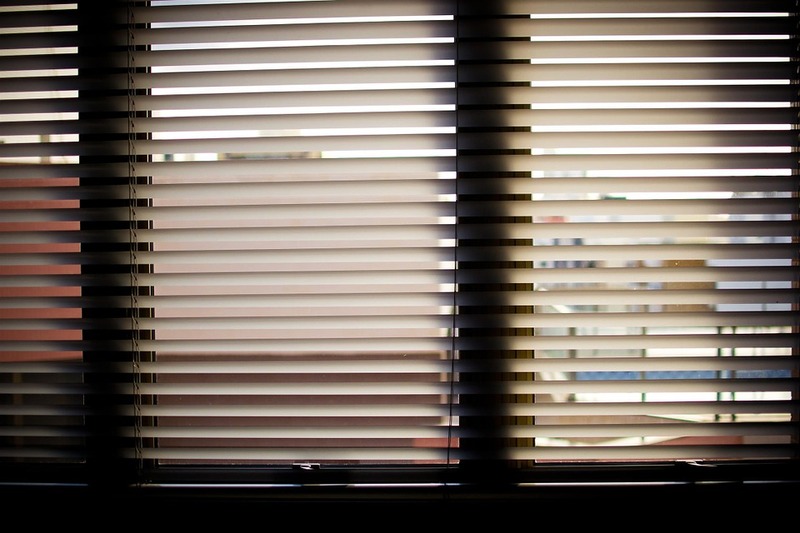 If that’s case for your family, our Privacy Aluminum Blinds may be the perfect option. 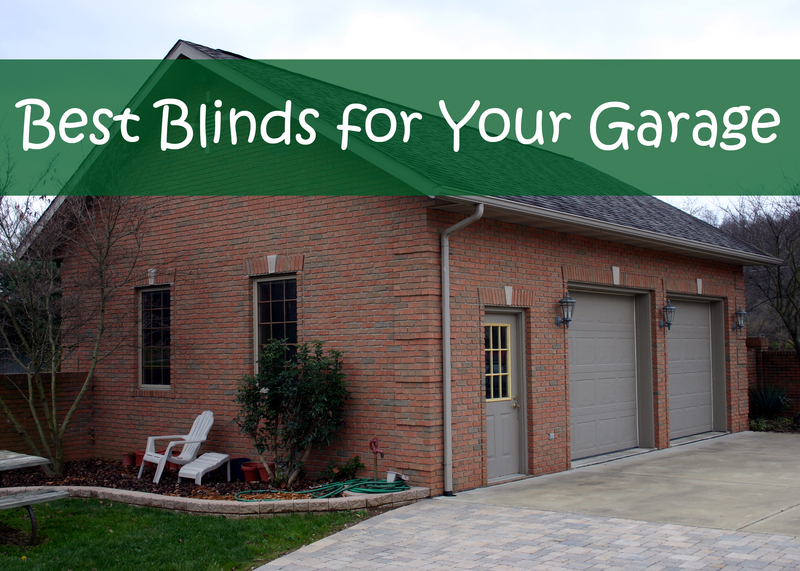 These blinds are not only highly effective at blocking out sunlight and insulating your garage, but as the name might suggest, they’re also ideal for protecting your family’s privacy. By using a manufacturing process that eliminates visible holes from appearing anywhere in the blinds, you’ll have peace of mind knowing that there’s no visibility inside your garage from the road. When placing your order, be sure to check out our options of four distinct and unique colors, including White, Bone, Mocha, and Sage. If your garage is more of a man cave or a home office than a storage space, you may be looking for window treatments with a more upscale appearance that can also hold up to the elements. Our 2 ½” Premium Faux Wood Blinds are an inexpensive and durable option that not only look beautiful in any setting, but they’re also available in a huge range of sizes and options, making them perfect for garages with non-traditional sized windows. Choose from wood stain colors like Antique White Embossed, Smooth Birch, Smooth Natural and Smooth Cherry. Many garages have exceptionally large windows or sliding glass doors that can be difficult to cover with traditional window treatments. If that’s the case at your home, our Smooth PVC Vertical Blinds may be the ideal solution. These blinds are easily opened and closed using a chain/cord or optional wand and can also be fully opened with minimal force due to a self-lubricated track. Because they’re manufactured using PVC and aluminum, these blinds can stand up to harsh conditions and can also be cut to fit windows or doors that are more than 10 feet long and 10 feet wide. Choose from 11 different colors, such as Light Blue, Ivory, and Light Mint. Because they’re often uninsulated, garages are exposed to extreme temperatures on a yearly basis. Our Exterior Solar Shades 10% Open are designed to be installed in outdoor areas such as porches and patios, but they’re also ideal for garages with large windows that can cause major fluctuations in temperature on a frequent basis. Our 10% open shades block 90 percent of UV light, while our 14% open and 5% open block 86 percent and 95 percent, respectively. Despite the differences in UV light blockage, all of our exterior solar shades preserve your view of the outdoors while increasing your privacy. The ultimate in insulation, privacy, and UV light blockage, our Premium Solar Shades Blackout not only eliminate 100 percent of the sun’s rays from reaching the inside of your garage, but they also hold heat inside your garage during the winter and keep it out during the summer. Available in eight different colors, including Wheat, Mushroom, Graphite, and Onyx, these shades are bacteria and fungus-resistant and can be easily cleaned due to their matte appearance and lack of folds where dirt and dust can accumulate. If preserving your view of the outside is your top priority in your garage, then our Premium Solar Shades 3% Open are the ideal window treatments for your home. When fully drawn, you will still have an unobstructed view of the outside with almost no reduction in visibility, but these shades will block 97 percent of the sun’s UV rays, protecting your furniture, vehicles, and your family. Like our Premium Solar Shades Blackout, these window coverings are also bacterial and fungal resistant, making them ideal for the potentially harsh conditions in your garage. If you value options and features in your window treatments—including the ability to raise and lower them from the top and bottom—you’ll love our Deluxe Cordless Top-Down/Bottom-Up Cellular Shades. 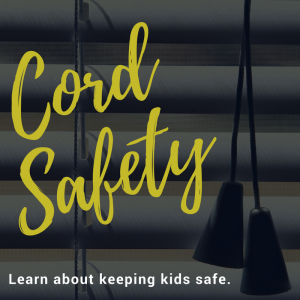 Made using a fabric that’s both soft and durable, these shades are ideal for families with small children and pets, as the lack of cord or chain makes them safe for all family members. In addition, their cellular manufacturing process also makes them ideal for insulating your garage during the winter and even reducing nearby sounds, such as construction or traffic noises. Our Deluxe Cordless Day/Night Single Cellular Shades are the ideal window coverings for your garage regardless of the time of day. Manufactured using two shades in one, the top shade is light filtering and designed to protect your privacy while allowing ample light into your home or garage, while the bottom shade is a blackout and designed to eliminate virtually all sunlight. The double-layer of shades also means these window coverings are highly effective at insulating any room where they’re installed, which means a warmer garage in the winter and a cooler garage in the summer.